This mushroom cloud shaped multifunctional center from Brother sports an oversized flatbed design that extends beyond its footprint, giving it a wide document glass and unique appearance. The Brother MFC-8440 offers decent specifications across the board, but is slightly limited when compared to its faster, stronger counterparts on the market today. Though this MFC can print, copy, and scan, it stands out surprisingly well as a grade A fax machine. With a built in Super G3 fax modem, this device can pull of a 2 second per page fax transmission and sustain this speed as long as necessary thanks to the built in automatic document feeder. The built in ADF is huge in size and can hold up to 50 sheets, which excellent not just for faxing, but for multiple page copies and scans as well. 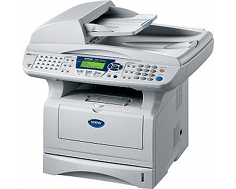 The long list of fax features includes out of paper reception which allows incoming faxes to be stored in the devices internal memory. Up to 500 pages can be stored at one time thanks to the built in 32 MBs of memory, and thanks to a memory expansion slot, memory can be upgraded, allowing for a fax page memory boost up to 600 sheets. An external TAD interface allows for a telephone handset to be added, and the unit even accounts for this with multiple phone features such as call waiting, caller ID, and distinctive ring detection. A fax / telephone switch can automatically switch between incoming faxes and regular phone calls. The included memory also accounts for the 340 allowable auto dial locations and broadcasting of up to 390 locations. Quick scan, or memory transmission, can operate as fast as regular fax transmission. Copy functions are nothing to complain about. Though the features are very limited, they do include a good reduction and enlargement ratio of 25 to 400%. This allows users to take advantage of 2 in 1 and 4 in 1 functions which combine multiple pages of input onto single pages of output by resizing them. 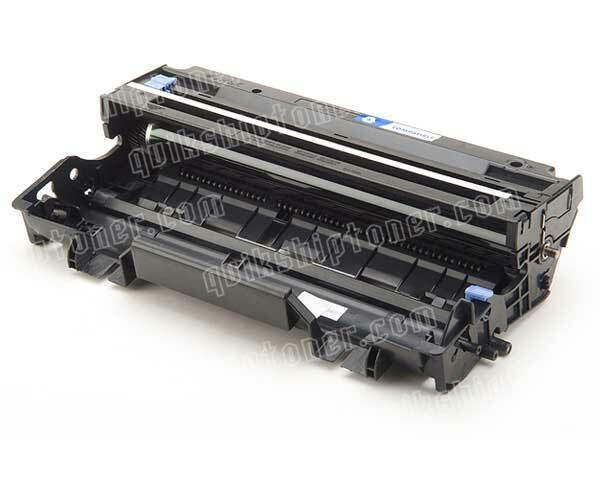 The major fallback of the Brother MFC-8440 is its slow print speed. With only 21 pages per minute, the unit does not stand up to its current rivals. It also does not come with Ethernet connect ability included, though the device does account for this with two optional network print servers including a wireless server and a standard Ethernet server. Another notable feature is the weird optical scan ratio. With a resolution of 600 x 2400 dots per inch optically, the unit's scan quality is not only slightly low, it's backwards. 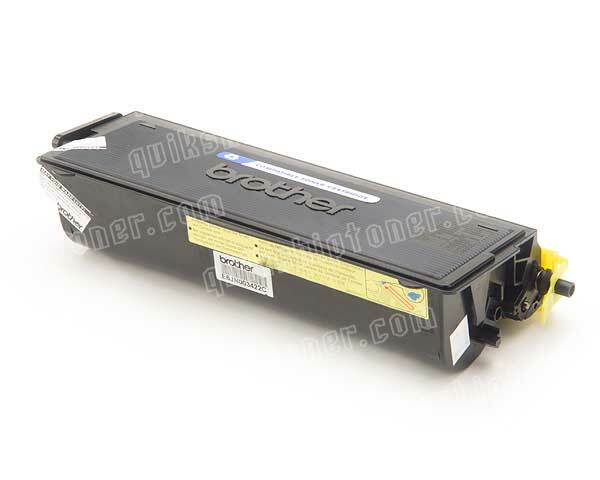 Review it: "Brother MFC-8440 "
As most laser printers and MFCs do, the Brother MFC-8440 relies on a toner cartridge and drum system to operate. These expendables vary in page yield and price, and for this machine in particular the drum offers a high yield of 6,500 pages at a 5% coverage. The drum unit itself that extracts the toner runs at a 20,000 page yield, which is sure to keep replacement cycles long.